Klive's Hressó performance was really great. The guy behind Klive is the same guy who did the Lighthouse Sound Installation that I posted previously. His style as Klive is this nice mixture of electronic sorcery melded with soothing acoustic samples which works particularly well with Klive at the helm. 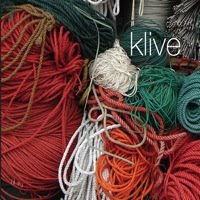 Playing live, Klive had a stellar female vocalist and 4 fantastic brass players who had previously played with Björk. Hressó has a small concert area which you can't even really see in the above picture but it's basically against the farthest wall which you can see. This is connected to the larger dining area, in the opposite direction of the photo, by a narrow barway (kind of like a hall but with a bar in it-Ok, I just made that up). I was near the end of the barway relatively far back from the stage. So, you'll likely hear people walking around, making weird comments about the binaural manikin, and eating/drinking in close proximity. Take a gander. ***There is a slight cut out near the beginning of the 1st song-it's not loud and going to make you go deaf, it simply cuts out and then back in. I think I was readjusting a cable after moving the setup. If you're a fan of this, you should check out Klive's CD here. This was Rökkurró's first performance of Airwaves and the first official show I heard of the Iceland Airwaves festival. It was an "off-venue" show that was free to anyone, as opposed to the "on-venue" shows which required the Iceland Airwaves Pass. The off-venue shows were all around Reykjavik in nice little spaces like record shops, cafes, and bookstores. There were so many concerts happening at the same time in different places that there was naturally a ton of running around to catch all the shows that you wanted to hear. It was impossible to not miss good music since there was so much. It kind of felt like a real world incarnation of hitting "Scan" on your radio and getting all of these little glimpses of different bands in a short amount of time. I'm used to 1 hour sets minimum in the US with a pretty big chunk of setup time in between bands. However, the off-venue shows were typically only about 25-30 minutes which is really short in my mind. It worked amazingly well though. Many bands had an at least one off-venue show and then an on-venue show. So, sometimes you might have only been able to catch an act off-venue because their on-venue performance overlapped with another group you wanted to see only but had that one on-venue performance. It seemed a daunting task at first but it worked out quite well. Rökkurró had a great turn out and played quite well. This concert was in Mál og Menning, a bookstore who's name translates to "Language and Culture". It's located on the main drag of Reykjavik: Laugervegur. It should be interesting to compare the acoustics/ambiance of this performance to Rökkurró's 12 Tónar off-venue performance (and soon to their Iðno on-venue performance after I post it). As you can see from the photos, I'm way across the room at the top of the stairs. I wanted to capture the acoustics of the large room by being away from the group and give the sensation of standing in the crowd, like you would have been doing if you had been there. Espresso machine ~8m to the left. People chating and drinking coffee in the cafe seating area in back and to the left. Woman: How long is this going, do you know that? How long is this going, do you know that? Aaron: I think about another 20 minutes. Woman: Ok [snicker], then I'm leaving. What a hater haha. Though, I guess if you're into browsing books you wouldn't be so keen on tons of people blocking all of the books while they check out a cool concert. Anyhow, it was indeed a great concert. I just took advantage of the sleek integration of Picasa and Google Maps to geotag my photos. So, if you're wondering where a photo was taken or you want to take a geographically choreographed tour of my recordings you can. Simply click on the photo you're interested in and you'll be magically transported to the album it is in. Plus there are some additional photos that I didn't post on the blog. Finn was dressed like some type of of medieval troubadour or something. He played a great stripped down set however, consisting of guitar + voice through 3 microphones, for various effects. This song in particular reminds me very much, in chordal progression and vocal melodic/rhythmic/relation to the guitar, of Radiohead's "True Love Waits". I don't think I'm crazy. Judge for yourself. 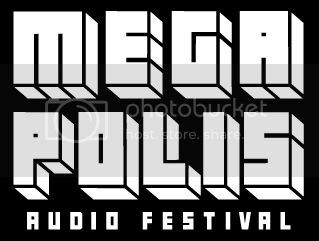 New Years Resolution... More binaural, less blather.